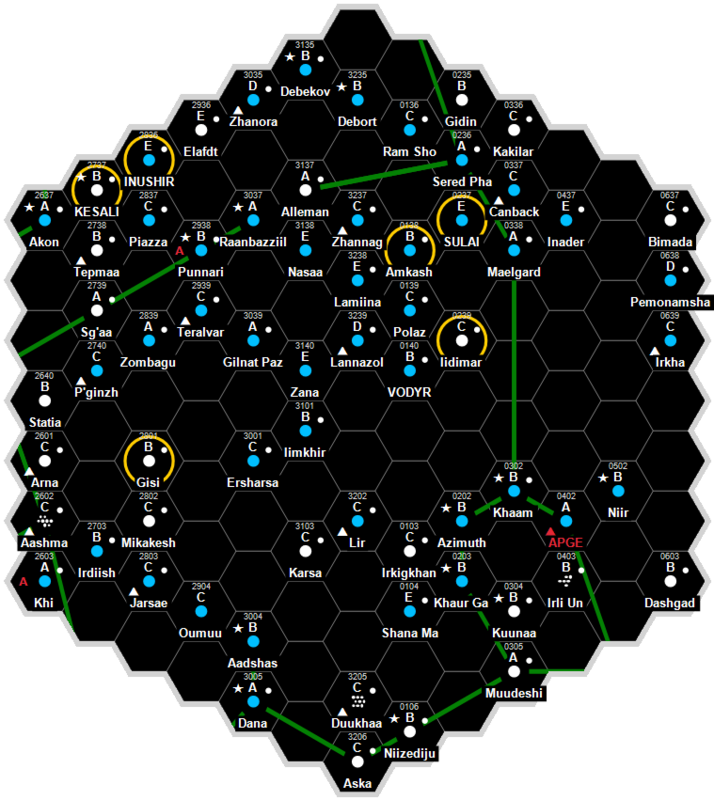 Gamma is a high-population, industrial world with a billion or more sophonts in population size. Gamma, as a member world of the Third Imperium, holds the estate of three members of the Imperial Nobility, who are charged with overseeing the world. Gamma has a good quality starport. Gamma possesses a Technology Level of TL–12 or TL-C in Hexadecimal Notation. Gamma has a Civil Service Bureaucracy government. This page was last modified on 4 August 2017, at 00:29.